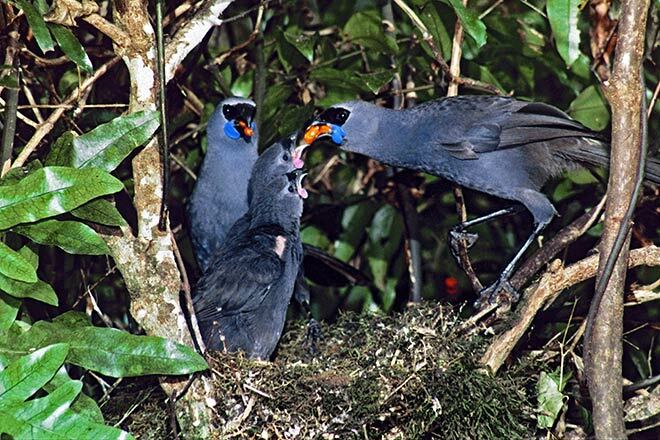 This North Island kōkako pair are feeding orange berries to their two chicks. The young have pink wattles and brownish wings. They stay in the nest for a month, and after fledging continue to receive food from the adults for up to a year.